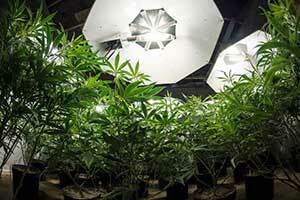 How Can I Prevent a Halt in My Cannabis Grow Operation? 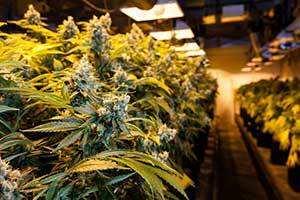 Like all businesses, owning and running a cannabis grow operation comes with certain risks. Breakdown of equipment is one such risk that can result in the sudden cease of daily operations. Depending on the size of your operation, you will likely have a large investment in certain pieces of equipment such as grow lights, ventilation systems, environment control systems, and other supplies needed to start and maintain a grow operation. When a piece of expensive equipment breaks down, you want to be prepared. Equipment breakdown insurance is designed to cover such disasters. Learn more about cannabis insurance and how you can prevent a halt in your daily operations. In the cannabis industry, your equipment plays a major role in your ability to produce product. If a piece of important equipment breaks down unexpectedly, you could be left without the resources needed to continue your operation. Equipment breakdown insurance is designed to prevent halts in businesses by covering the cost to repair or replace broken down or damaged equipment. A variety of equipment may be covered depending on your policy, such as computers and telecommunications systems, boilers, pressure vessels, electrical or mechanical equipment, and production machinery. Equipment breakdown insurance may cover more than just the cost associated with the repair or replacement of a piece of equipment. In some cases, it can also cover the lost income accumulated if your business was forced to shut down due to the equipment breakdown. It may also cover other expenses, such as the costs of running your business while the equipment is being fixed or the lost value of any contaminated or spoiled products. Cannabis insurance may also cover any costs incurred when normal business operations are interrupted due to an on-site equipment failure. Under equipment breakdown insurance, the primary covered peril is breakdown to covered equipment. This includes any direct physical loss or damage to a covered piece of equipment, requiring repair or replacement. For example, a power surge that damages a computer would be considered an electrical failure and would typically be covered. A motor that broke inside a machine would also be covered. However, not all types of damage are covered. A machine that suddenly stops working without suffering any physical damage has not experienced a breakdown. Equipment that has suffered minor damage but does not require repair is also not considered a breakdown. If your business owns, operates, or depends on equipment to generate revenue, then you likely need equipment breakdown insurance. When you do not have the right insurance to protect you when you need it most, the cost of equipment breakdown can cause a significant risk to your company’s financial health and profits. The cost of repairing major appliances, machinery, and other types of equipment can be very high. After paying a small deductible, equipment breakdown insurance can provide the rest of the funds needed to make the necessary repair or replacement. You may believe that you do not need breakdown insurance because you already have property insurance to protect you from such incidents. However, after a breakdown you will likely come to find that your equipment is in fact not covered by your insurance. This is because property insurance policies only cover damage to your equipment from external causes, such as a flood, fire, or a tree falling and hitting your roof. Property insurance does not generally cover internal causes, such as electrical short circuits or mechanical failures. Once fairly limited to large manufacturers, equipment breakdown insurance is now available to businesses of all sizes and in nearly all industries. There are many reasons why modern businesses are choosing to invest in equipment breakdown insurance. First, new technologies such as computerized and electronic equipment are at a higher risk of breakdowns and these breakdowns can be much more costly than with traditional mechanical breakdowns. As more businesses are relying on the internet to market their business, the need for well-functioning equipment is a must. Employees are now traveling with their expensive equipment, causing breakdowns to occur in places that are offsite. Equipment breakdown insurance can protect you against all of these risks. In addition to property insurance, some businesses believe that they are safe because of the warranties that come with their equipment. While having a warranty on a costly piece of equipment is always a wise idea, it is not always enough to cover you in the event of physical damage. Carefully read what is and what is not covered with your warranty. For example, operator errors are not typically covered by warranties. This means that any damage that occurs due to an individual using it will not be covered. There are a number of circumstances in which equipment breakdown insurance can come in handy. 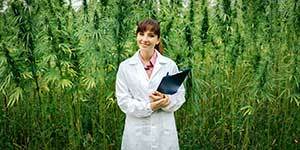 First, you may want to invest in cannabis insurance if you desire an extra level of protection for your business from unwanted and unpredictable outcomes. You may also want coverage if you want to keep your assets protected now and in the future. If you want insurance that extends beyond your basic property insurance policy, equipment breakdown insurance can be a great choice. However, remember that every equipment breakdown policy is different and offers varying amounts of coverage. Shop around to see which is best for your business and budget. Equipment breakdown insurance is a viable solution for businesses that want to avoid the short and long-term consequences associated with equipment breakdown. If you own a business such as a cannabis grow operation that uses equipment to produce products, chances are that your regular insurance policy does not cover all of the issues that may occur with equipment breakdown. As the costs associated with a breakdown can be catastrophic, it is crucial to have the proper coverage to protect your business’s financial health. For more information about equipment breakdown insurance or to acquire cannabis insurance, contact a professional cannabis insurance agency.